FILTER RESULTS:1 to of 43 matches. Classic. Simple. 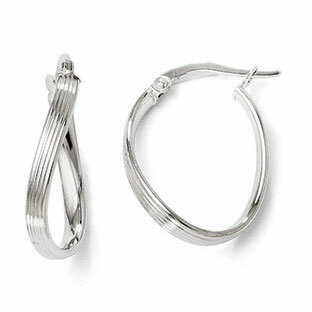 Sophisticated or fun -- it's all in how you wear them. 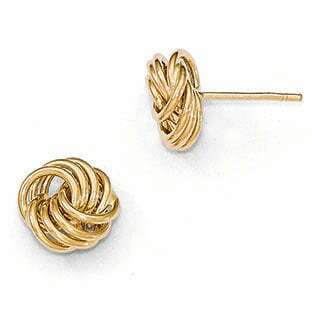 That's the beauty of gold earrings and why they will never, ever go out of style! 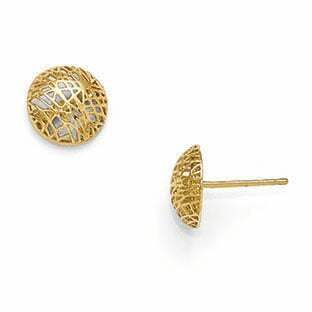 When you want to add an instant dash of class, wear a pair of gold earrings from the Gemologica collection. 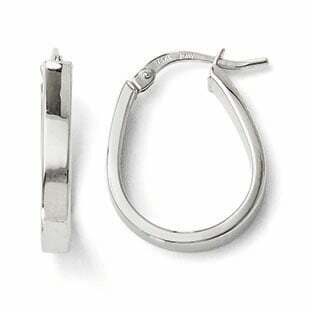 A genuine 14kt white gold earring or yellow gold earring is still the gold standard in fashion. 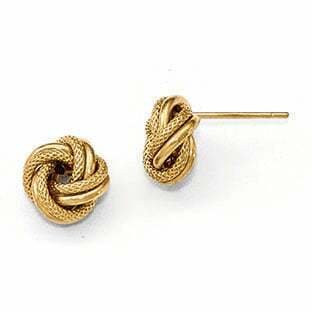 Gemologica is proud to present hundreds of glamorous gold earrings for your enjoyment! 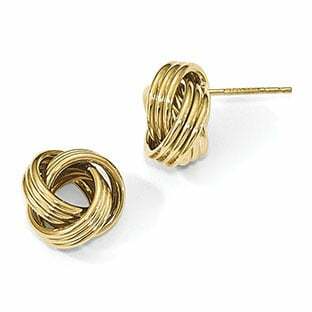 You cannot go wrong with a gift of gold earrings. 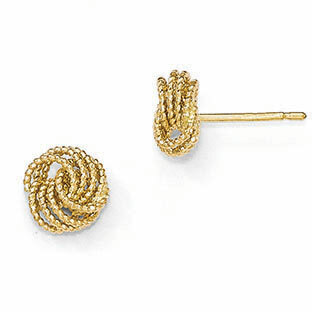 Every woman loves themâ€”and who wouldnâ€™t want more gold earrings? 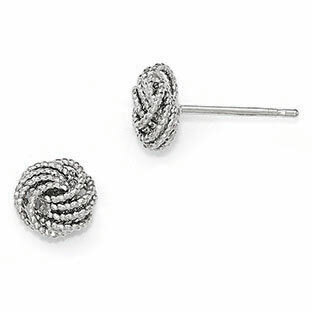 Want to feel pretty in the morning? 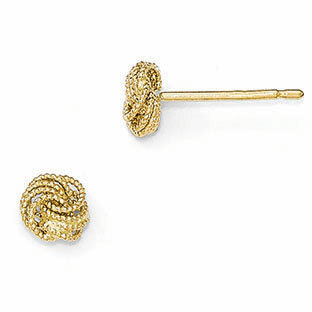 Head straight for your gold earring drawer. Donâ€™t have enough choices? 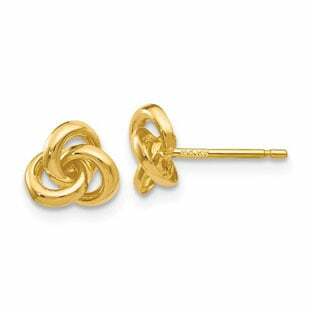 The Gemologica gold earring collection will fix that. 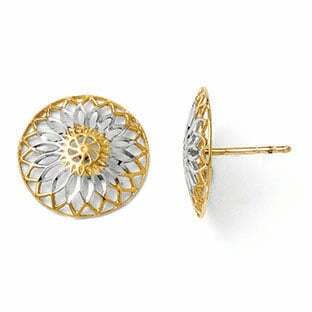 Whether itâ€™s a glittering gold diamond earring for that special evening outâ€¦ or a pair of gold hoop earrings or gold stud earrings that go from the beach to the boardroomâ€¦ Gemologica.com has the variety and the quality to keep you in gold earrings for life. 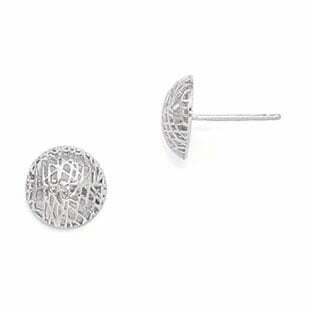 White gold is hot today, and our white gold earring collection proves the point. 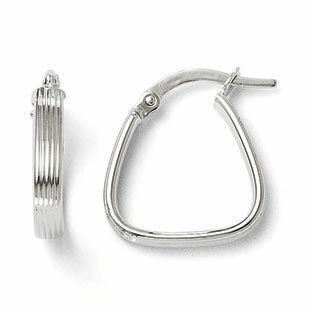 Browse our white gold earrings and see: white gold diamond earrings, white gold hoop earrings, white gold dangle earrings and the most elegant white gold stud earrings. 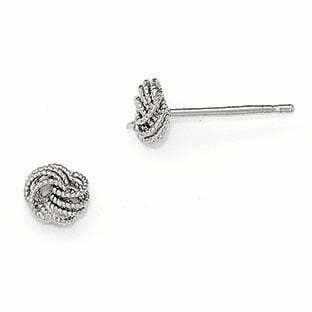 Many sparkle with diamonds, sapphires or other brilliant gemstones to mesmerize you or your sweetheart. 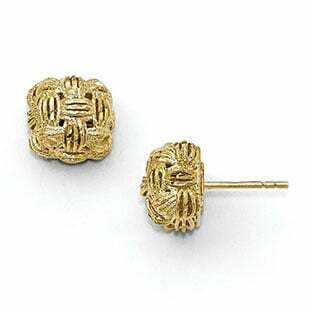 If youâ€™re not already a confirmed Gemologica customerâ€”you will be, once you shop here for gold earrings. Welcome! 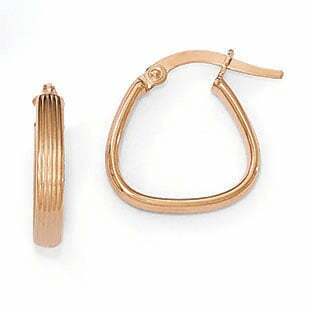 When shopping for gold earrings, the karat weight of the gold will factor in to the final price and durability of the jewelry more than the style. 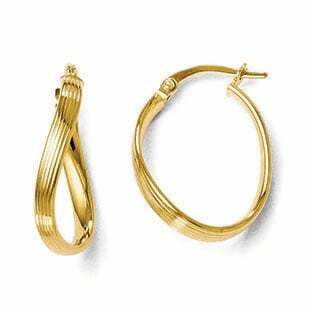 While varying levels of gold appear to look the same, the long-time wear and tear on the jewelry will uncover its quality. 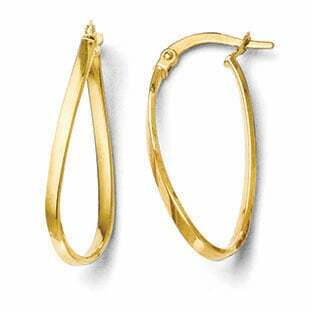 Whether you choose yellow gold or white gold earrings, understanding the value and proper care will increase the lifetime of your investment. Gold by itself is far too soft to create jewelry. To toughen the gold, alloys are mixed with it. 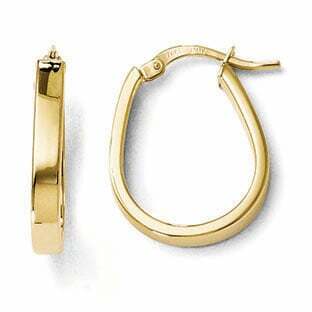 The purity of gold, measured in karats, is a measurement of the percentage of gold in comparison to the percentage of alloy metal. 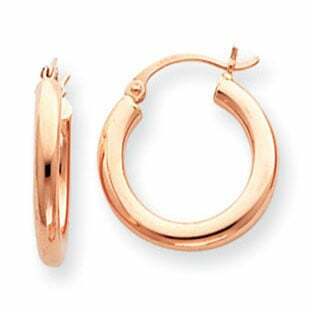 The most common alloys used in gold earrings are copper, silver, nickel and zinc. 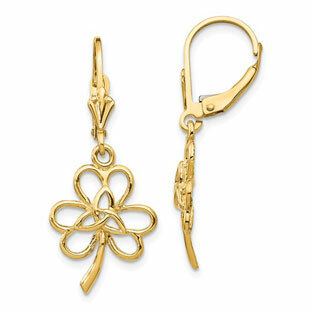 Pure gold is measured at 24 karats. 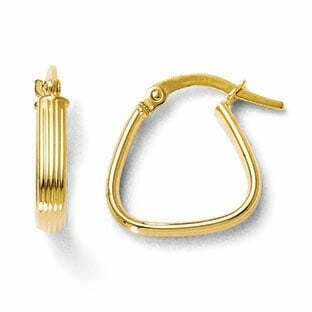 Gold earrings come in 14, 18 and 24 karat gold. 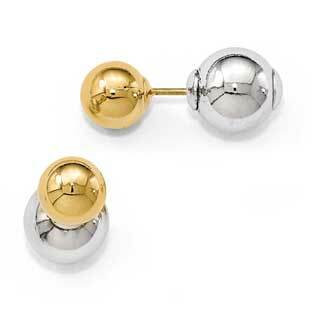 Those measuring 18k give the appearance of pure gold with the added benefits of strength. 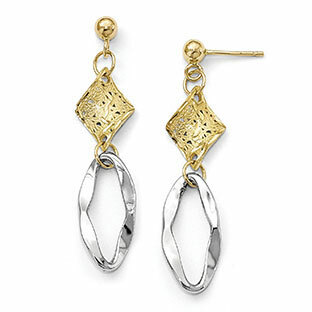 However, most gold earrings are backed with 14k pieces. For those interested in white gold, be aware that the lower grade gold the more yellow the color will be. 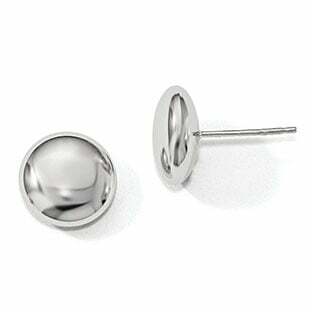 For this reason, some white gold earrings and other jewelry types are plated in a white metal called rhodium. 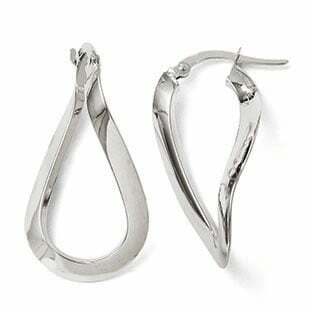 This gives the jewelry added strength. 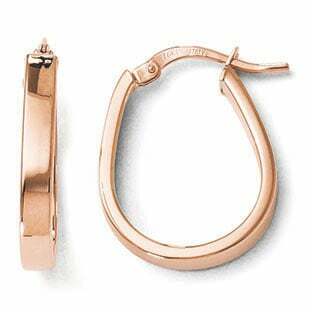 For an option that is more unique than classic yellow or white gold, try rose gold. 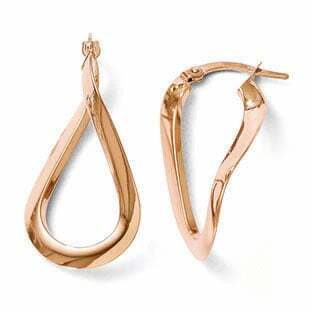 Red or rose-colored gold is created when there is a higher amount of copper mixed with the gold. This pink-tinted color can often be found in tri-colored pieces but is increasingly being sold on its own. 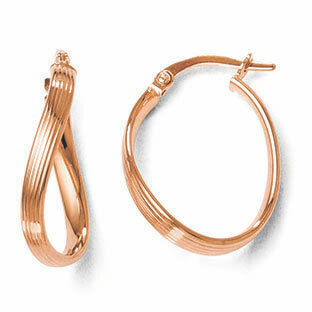 For everything from hoop earrings to chandelier styles, rose gold is one of the most exciting options. 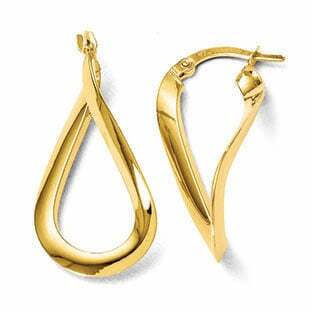 When caring for gold jewelry (whether white, yellow or red), be sure to keep your earrings away from harsh chemicals. 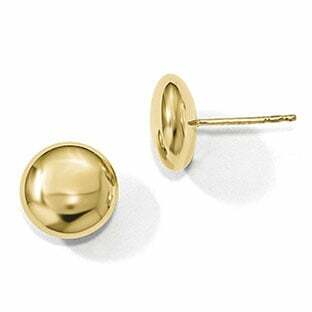 Warm water and non-detergent soap provide a subtle mixture that allows you to safely clean your gold jewelry. 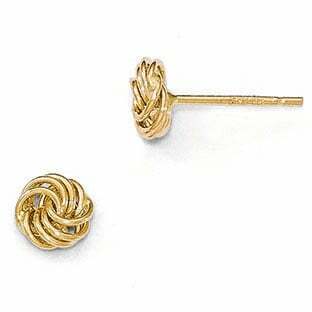 Remember to use a soft-bristled brush when cleaning to avoid scratching the gold, and your earrings will stay in eye-catching condition for years to come. 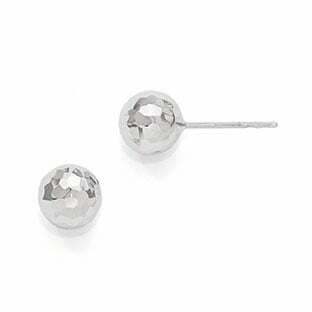 Gold Earrings, Gold Stud Earrings & White Gold Earrings at Tremendous Savings. 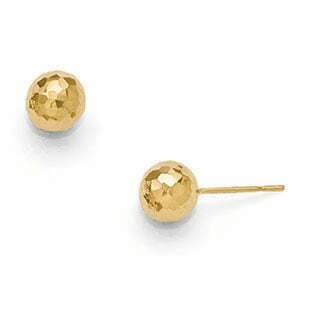 Compare our Gold Earrings, Gold Stud Earrings & White Gold Earrings, and Discover More Quality for Lessâ€¦all at Gemologica.com. 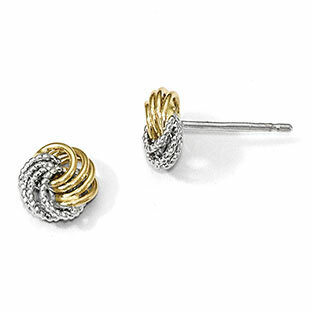 Add flair and sparkle to any ensemble with gold earring gifts that are a joy to wear. 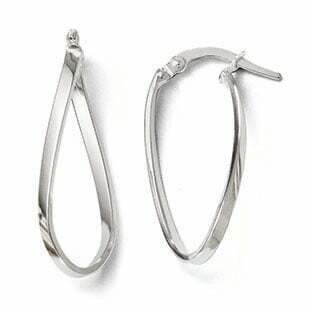 Let Gemologica.com help you find the perfect pair of gold earrings - whether it's gold hoop earrings, gold stud earrings, gold dangle earrings, or gold chandelier earrings. 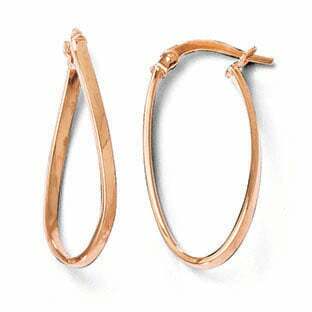 And all gold earrings over $25 always ship for free at the Gemologica Gold Earrings Jewelry Store.